Why do people have a little [pun] with their retag and burninate requests? was asked middle of last year. The consensus was pretty clear: puns are a good way to lighten up an otherwise deadly dull subject. However, recently there was an edit war on a burninate request using the new system. Apparently it was determined in chat based on some ♦ title edits that puns should no longer be permitted; the reasons given to me had to do with professionalism now that burninate requests involve the whole community via featuring in the Community Bulletin box. This was thought to be so beyond dispute that a few users took it upon themselves to "educate" meta about this. But I don't think that many more people click on featured questions than click on hot questions in the same box, and almost any decent burninate request will eventually land in hot questions for some time. So I'd like to keep around the puns to keep things interesting… not just for burnination, but for everything else that lands in CB. If there's a persistent trend of "ugh, that was boring, why did I click on that", people will start ignoring CB more. If burninations have been able to tolerate the occasional excess around puns for years, there's no good reason to abruptly ban them just because there's a little more attention on the questions now. It might make sense to cut back on the calls for more puns on requests that are already going to be featured, but removing puns that are already there seems unnecessary, and edit wars about that (in either direction) are beyond the pale. So let's work out whether puns are still a thing we want in tag cleanup in a separate discussion, rather than fighting about it with edits back and forth. 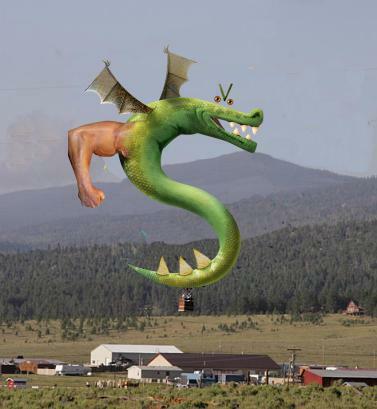 For those of you who are so concerned about being "oh, so serious" here, do note that the word "burninate" originates from a Homestar Runner vintage video game spoof featuring a dragon called Trogdor. I can't possibly be the only one that appreciates the irony here. Just a general observation: jokes aren't usually funny when you try too hard. Unless the joke is that you're trying too hard to make something funny. Right now I'm getting a lot more amusement out of this discussion than I am from the increasingly-strained attempts at humor in titles. Maybe don't try so hard. Start having fun, and stop trying to force other people to sign on to your carefully-defined rule-based brand of "fun". Oh, and stop messing with titles while they're pinned to the sidebar of every page on the site. That's just vandalism. I'm glad you're making a Meta post for that since it clearly needs to be agreed upon what to do with puns on burninate-request posts. However, the conclusion that the title "edit war" was due to the presence of a pun in a post title disagrees with the evidence. First, I'll trace back some of the events that happened for the previous featured burninate-request of once and for the current burninate-request for corners. The initial burninate-request for once was titled "Burninate [once]", without any pun. Then, when the new burninate process took place, the post was featured and a notice was consequently added. The day after, the title was edited by a user to be the pun "Not even [once]" (so the title stayed unchanged for practically 1 year). Shog9 quickly re-edited the title to be "Should we burninate the tag [once]?". Then, the post was status-planned and status-completed when the tag was finally gone. The initial burninate-request was titled with the pun "Should we throw the [corners] in the corner?". Then, the post was featured and the title was renamed by a moderator to "Should we burnitiate [corners]?". Note the wording of burnitiate, which is important. This possible typo was not unnoticed. A comment was added after a minute or so, asking if burnitiate, was short to initiate burnination. Other "too-chatty" comments followed including if the comment was not there, I would have edited the title. The comments were removed as they were not on-topic (perhaps a moderator can edit this post with the exact messages). Then, the post was renamed "Should we cut [corners]?" by a user who did not know about the deleted comments. The OP, who was unsure, rollbacked the edit to the version that was left by the moderator. Another user spotted the typo and fixed it, which was rollbacked by the OP. This was to keep the title chosen by the moderator. The typo was again re-fixed by another user, and again rollbacked for the same reason. A third time, another user re-re-fixed the typo. This time, we had heard back from the moderator and it was indeed a typo that needed to be fixed. As such, this was not rollbacked. Then, another user re-introduced a pun by renaming the title "Should we cut [corners]?". It stops being cute and fun when someone has to handle a crapload of flags about it. To which a moderator renamed it "Cutting [corners]", rollbacked again. We have lots of users that are editing the title to a pun without OP's consent. This is not really acceptable: such an edit would be rejected in the queue because it conflicts with author's intent. once stayed one year without a pun and that hurt nobody. A pun was only edited in after it was featured. The edit rollback-war was not due to the pun but to a typo, which the OP believed to be intentional from a moderator but, in fact, it was not. Finally, here are my thoughts about this: I like puns, they're funny and are appreciated. It is true that burninate-requests on Meta generally contain a pun. I see no reason to change that. But, in my opinion, once the post has become featured and is widely visible to the whole Stack Overflow community, not just the Meta regulars, puns should be removed because they conflict with the real intent of the featured tag, which is to draw people in and have constructive feedback on the request itself, and not on the pun. As suggested in the comments by NathanOliver, we can still rename it back to something punny once the post isn't featured anymore. I think that a lot of mess and drama around edits to the example post happened because of mistake in that "formalised burnination process". It is unreasonable to expect of editors to know all the rules and limitations of the process. Much simpler way to let them know is to add hidden markdown note at the top of the post. If you ignore this note, moderator will suspend your account for a week. Side note wonder why didn't they put similar note to editors (and edit reviewers!) at the top of the Zalgo answer. I'm 100% for the removal of puns in titles. By organizing a tag-removal/edit action, you're working on one of the more serious, though time-consuming and unrewarding, details of the site. And just because you're providing work to StackOverflow Corp for free doesn't mean that you're allowed to wear sweatpants or crack jokes while walking around the digital office. Button up your shirt; this isn't a disco-tech. Readers would also benefit from keeping in mind that there are now two distinct classes of site users, Community Helper, Unpaid Monetizable Pawns (or CHUMPs, for short) and StackOverflow Workers (or SOWers, for short). Keep in mind that the latter is under no obligation to the former, and that policies meant to manage the former do not apply to the latter. Although Jeff Atwood stated in the employee handbook "the only logical thing to do is to maximize the happiness and enjoyment of answerers", he was part of the last round of executives, so please keep in mind that there is nothing we can learn from his perspective. This is a serious business and that needs to seriously monetize -- the culture of the CHUMPs must be sacrificed so that future investors may comfortably think of us as a low-cost enterprise documentation provider or place for docile, professional candidates for employment. Having puns in titles is unprofessional and potentially alienating to new users or those from different cultures. Can you imagine if a new CHUMP starts using the site and doesn't understand what "burninate" means? Although the linked post will bring him or her to meta.stackoverflow, a site used by those who have spent enough time on the main site to form opinions about how it's operated, you're expecting him or her to either use a search engine or the site's own searchbox to learn what's meant by "burninate". This is an unfair expectation that new users spend time reading before participating. Further, it doesn't matter that StackOverflow is officially an English-language site. If your content doesn't read like a Cisco ASA-series firewall manual, it is not suitable for the site. Please note that the above does not apply to the SOWers, their inside jokes, misuse of memes, or the way they conduct themselves when interacting with CHUMPs. If the action of a SOWer and/or his/her parent company is logically inconsistent with the above, please keep in mind that StackOverflow is the only popular programming Q&A site, so deal with it and quiet yourself. Information in this transmission is intended only for the person(s) to whom it is addressed and may contain privileged and/or confidential information. If you are not the intended recipient, any disclosure, copying or dissemination of the information is unauthorized and you should delete/destroy all copies and notify the sender. No liability is accepted for any unauthorized use of the information contained in this transmission. As the OP of that question, I feel a few more clarifications are needed in addition to Tunaki's answer because not all the evidence is left for everyone to see. Before the post was featured, it had a regular (somewhat accepted) pun and about 10 comments discussing puns with only 1 or 2 comment(s) on-topic. This is the "normal" state in which such posts exist. The formalized burnination process that was and is being tested was derived from an answer by Shog9, which asks for a real on-topic discussion. As such, the post is brought to an appropriate state for such a discussion, which includes removing all off-topic comments and editing the title. I had asked if the typo was deliberate in a comment below the post. The comment was deleted and the title kept. It implied that the title was not a typo. There were further comments stating something like Thanks to the comment, else I would have fixed the typo. The rollback started only after the comments there were deleted to keep them on-topic. The title that was chosen by the moderator included the word burnitiate, which was believed to be burninate + initiate. This was discussed in the SOCVR room and indeed was a source of confusion. The process was edited to instruct using that title. Only after the confusion was lifted by the moderator did the title settle properly and I had stopped the rollbacks. Eventually Shog came, edited the title to its final form, and apparently re-obliterated the comments section (many casualties), leaving only one man standing. I have nothing against using puns - I used one myself. The rollbacks and comments section cleaning requests were not because I liked or disliked something - they were in accordance with the process and the moderators. I don't blame anyone for typos and misunderstandings. My only complaint is towards the users who ignored the clearly-written process and moderators' requests. While the post is featured, and after it is cleaned, we must restrain ourselves from off-topic discussion because after the post is finished being featured we actually need to read the on-topic parts and arrive at a course of action. After one has been decided, I don't see a problem with returning to off-topic stuff. That includes the title - while the post is featured, it needs to be presented formally, cleanly, and clearly for everyone (not just regulars on meta). Remember that a post is featured for only 24 hours. That isn't asking for a lot. Disallowing all puns, for instance by a standard question format. Edit wars (for any reason). Insisting on puns across the board is just as bad as the first extreme. Short and sweet, the OP of the burninate request gets to decide whether it is punny or not. Sure, if there are misspellings in the title, fix them, but don't mess with their puns (or with their seriousness). This is still a community-led site and if we are going to let the fact that there is a jobs tab on this site dampen the mood on all the other tabs, we have lost the lovely community we once had. Also, please note that I can immediately spot burninate requests based on the fact that they have [brackets] and a pun, so standardized formats are unnecessary. You may optionally allow suggesting a pun if it is an amazing pun and the OP didn't think of it. The puns are mildly funny sometimes and I generally correctly assume "... [...] ..." titles are about burnination, so for me personally it's not such a big deal one way or the other (apart from my OCD). However, what about newer users or users that simply haven't noticed the burnination title format pattern? They may be misled into clicking on these questions they have no interest in, or not clicking on a question about a tag they're very much invested in (because they don't know the post is about getting rid of it). So basically there could be frustration and views/votes based on the quality of the title rather than the content of the post, neither of which are good IMO. Not to mention that humour often has the risk of irritating, offending or alienating. AFAIK the official policy is that humour should be kept off the main site, but is generally acceptable / tolerated on Meta. So allowing humour for Meta post titles that are intended to be featured at some point seems to go against this policy. I see some suggestions for back and forth editing, but that seems like creating unnecessary work. Introducing puns - suggested or otherwise - is, in the general case, a controversial edit, and thus shall be handled like any other controversial edit (i.e. not made arbitrarily but discussed and checked against the wishes of those "in charge" of the question1).